U.S. President Donald J. Trump will be delivering his first ever State of the Union address this Tuesday January 30, 2018 and, in anticipation of this occasion, BetOnline have released some fun State of the Union betting odds. 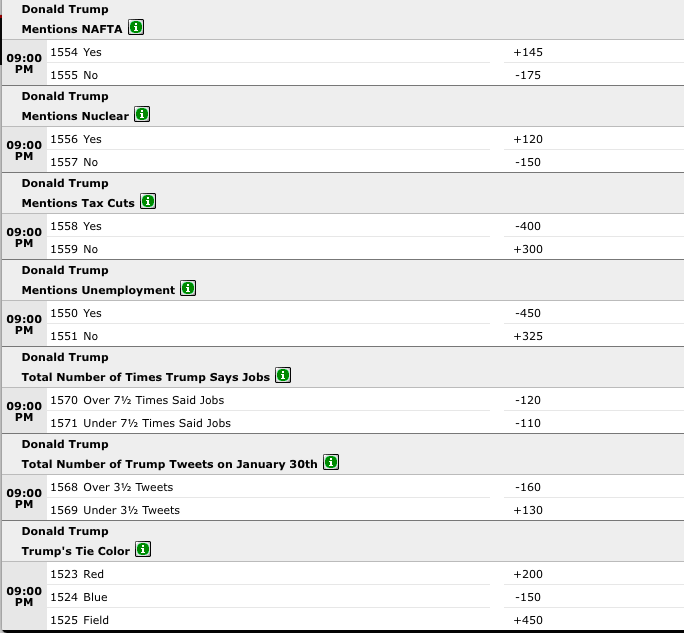 "In the past, these State of the Union odds have proven quite popular with our customers," BetOnline's Dave Mason tells Gambling911.com. "We anticipate this State of the Union will deliver the most betting volume yet." 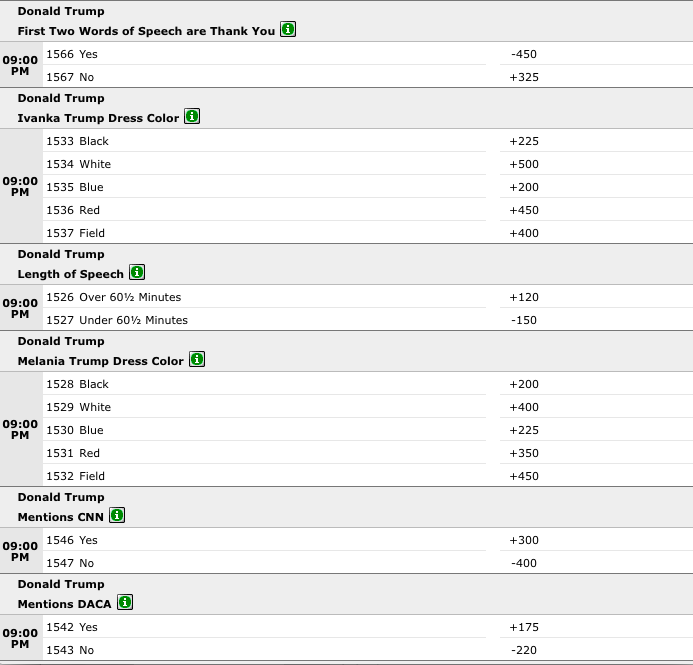 While most of the bets involve mentions such as Will Trump Say "Lil Rocketman" or "DACA" or "Dow Jones", there are a few other unique prop bets such as the Color of Ivanka Trump's and Melania Trump's Dress as well as the Legnth of this year's State of the Union Address. 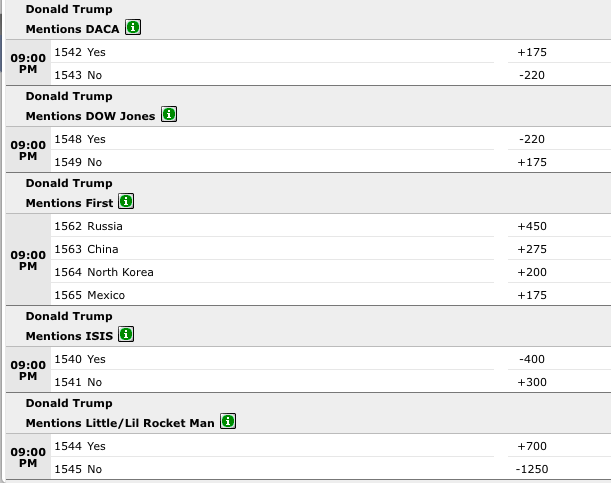 All oddds appear below - Click on them to bet.